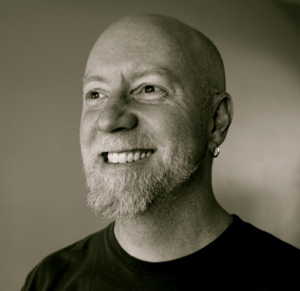 David Lynch is a YogaWorks trained Senior E-RYT 500-hour with over a decade of teaching and teacher training experience both domestically and internationally. In his teaching, David tries to bring the five sheaths of the body: the anatomical, the physiological, the mental, the intellectual and the spiritual into a harmonious, creative, and humorous whole. He is currently teaching yoga classes online through MyYogaWorks.com. What is your passion for teaching? My passion for teaching yoga seems to float in unbounded space. My mission is to develop a voice that captures a direct pathway unfiltered by fear to the purity of our truth, languages beauty, and words/images used to unshackle the human body and soul through yoga. This journey, for me, at least, finds its greatest expression through art, photography, film, literature, and psychology. Earlier in my career, I dabbled poorly in trying to meld these non-yogic pursuits into my teaching like a weekend watercolorist with ambitions to take his beach landscapes one day to the MOMA. I cannot even comprehend teaching a yoga class that hasn’t been somewhat formed around a blend of “non-yogic” passions with classical yogic ideas. For example, a phenomenal photography exhibit, the images of Hiroshi Sugimoto is a recent case, where I tried to create a vinyasa flow around a particular feeling of emptiness melded with memory and stillness captured in his images. The blend of isolated decay with past ghosts mixed with grand structures and light’s explosion in Sugimoto’s film series serves as the starter for the classes theme and structure while having a peak pose of Dwi Pada. I then tried to incorporate a poem by Hafiz that speaks to stillness in empty spaces and also the film language of Tarkovsky as I taught. The tricky dance with such an approach is that the references, if lost on the student, can seem frivolous to some or “non-yogic” ramblings to others. I do my best to ground the themes and language cues in a way that hint or more overtly point the mind’s weather vane towards their destination, but know that this hope sometimes fails to meet my sincerest intentions. What is the role of humor in your teaching? How do you balance humor with inner-focus and introspection in your classes? Humor is as essential a part of my teaching as is breath. The gorgeous absurdity of so many aspects of yoga needs and demands a sly smile and light ribbing. I have never accepted the idea that humor is antagonistic to introspection or inner-focus, but instead I believe that satire provokes, exposes hypocrisy, demands reflection, questions always, challenges accepted non-critical thought and relaxes the overabundance of hard jawed faces contorted in some surreal mask. Humor is not the means to the end, nor some set routine that gets delivered in every class in the same way. To me, to work organically it has to come from something I might see being done during a practice. For example, instead of always speaking to misalignment of body, a finely delivered quip often relaxes a practitioner, releases unneeded tension or hopefully takes them out of the externalized pursuit of objectified success into a more playful realm. Who has been your greatest influence? Who are your yoga heroes? BKS Iyengar: his ability to modify, change and alter his practice and theories as he aged, experienced more life and saw where he may have erred earlier speak to his strength of character. Few ever have the courage to alter their own history while alive. Krishnamurti: fed and continues to feed my intellectual approach to yoga. He elevated yoga dialogue beyond the often trite and flippant “today show clip” or easily digestible quote culture that claims many in its mundane grasp. His searing analysis and willingness to delve deeply into ideas is forever intriguing to me and inspires. I am obsessed with photography. I think in another 10 years I may have taken one or two decent pictures. I hope I still get the opportunity to teach overseas. The last few years have allowed me to travel to teach, mostly to Asia, and the experiences have altered my life beyond measure. And, of course, Yoga Poetica. YogaPoetica is an online journal that will examine the people and ideas that forge our complex ever-shifting yoga communities while trying to capture some aspects of how modern yogis think, practice, play, create, and love in forms neglected and often ignored. Each issue will be filled with poetry, essays, photography, criticism, interviews, and podcasts. We hope to create a portal for a radical re-imagining of how modern yogis are portrayed burrowing deeper into the real, magnificent and glorious complex “truths” we are drawn towards and struggle to embody. Without intention, all these postures, these breathing practices, meditations, and the like can become little more than ineffectual gestures. When animated by intention, however, the simplest movement, the briefest meditation, and the contents of one breath cycle are made potent.